Riva, Maryland is located in the Baltimore metro area, and is a beautiful area with many scenic views. 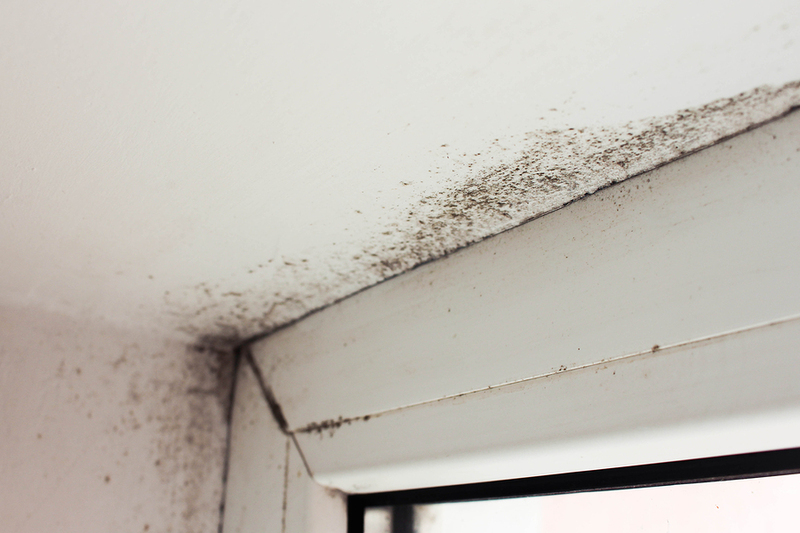 It houses a population of over four thousand, and due to its frequent rainfall and humid climate, even the most airtight homes will find themselves faced with a mold problem at one point or another. There are many different signs that you may have a mold problem in need of a mold remediation service in Riva. You are sometimes able to see it, this is true, but what if you can’t? How are you supposed to know it’s there? Recognizing the signs and symptoms of mold in the household is essential to getting early treatment with mold remediation in Riva fast, before the problem has a chance to get worse. This may seem obvious, but it’s not. Some types of mold have to be closely examined in order to be identified as mold, and some people may see small amounts of mold within their bathroom. If you do see mold in your home, don’t ignore it; the sighting of even the smallest amount of mold means that there is the potential for mold to grow, and can even signify that there is more around that you may not be able to see. Mold has a very pungent smell, especially when it’s confined to a single area within your home. It doesn’t just appear in bathrooms and under the kitchen sink; mold can develop behind walls and wallpaper as well, so using your sense of smell to tell you if something smells a bit off is one of the sure signs of a mold problem, aside from simply seeing it. Not only does mold put off a foul stench, it can also negatively affect your health if you’re exposed to it. Symptoms of mold exposure can include sore eyes, itchy skin, a runny or stuffy nose, sneezing, coughing, sore throat, and can even cause symptoms of asthma or make them worse. Many people don’t realize that these symptoms are being caused by mold exposure, but if you notice them, pay close attention; if you notice that the symptoms abate or get noticeably better when you’re no longer within your home, it’s a good indicator that you may have a mold problem. Now that we’ve covered a few of the common signs and symptoms of a mold problem, what are you supposed to do if you notice one? There are a few home remedies for small amounts of mold, I’m sure, but what if you have a real problem on your hands? Your best bet, when dealing with a mold problem, is to call the experts at AA Action Waterproofing. With over 25 years of experience in the waterproofing business, they are also the best at handling your mold situation. They use a technique called Mold Remediation – essentially, this is the process of containing the mold spores and restoring them back to their normal balance. You may be wondering – what’s the difference between mold remediation and mold removal? The difference is simple; companies claiming to be able to completely remove all mold within the home are operating off of the fallacy that mold can be completely removed. The fact is, microscopic mold spores exist naturally almost everywhere, both indoors and outdoors, and it is impossible and even harmful to the natural balance to remove them completely. Mold remediation restores those natural levels, taking only the harmful, overabundant mold away. No matter the size of the problem – be it just a tiny amount more than natural, or a seemingly unrelenting issue – the process for mold remediation in Riva is essentially the same. First, AA Action Waterproofing will locate the source of the problem. This is typically caused by excess moisture somewhere in your home, be it from a leaky faucet or water damage. Next, they’ll isolate the area or areas which have been contaminated, including sealing any doors and vents within the area to prevent the spores from spreading to the rest of the home. They then remove the mold from any contaminated surface or items, and then clean and dry the area thoroughly to ensure no further contamination is possible. Letting AA Action Waterproofing service your home with the best mold remediation Riva is not without its extra perks, either; because mold can do serious damage to a home – for instance, when mold gets into wood or drywall, it can cause bowing or warping, and can also deteriorate materials that make up your home – AA will also do their best to repair any damage done by the mold problem, so you know you’re getting the best service, hands down.